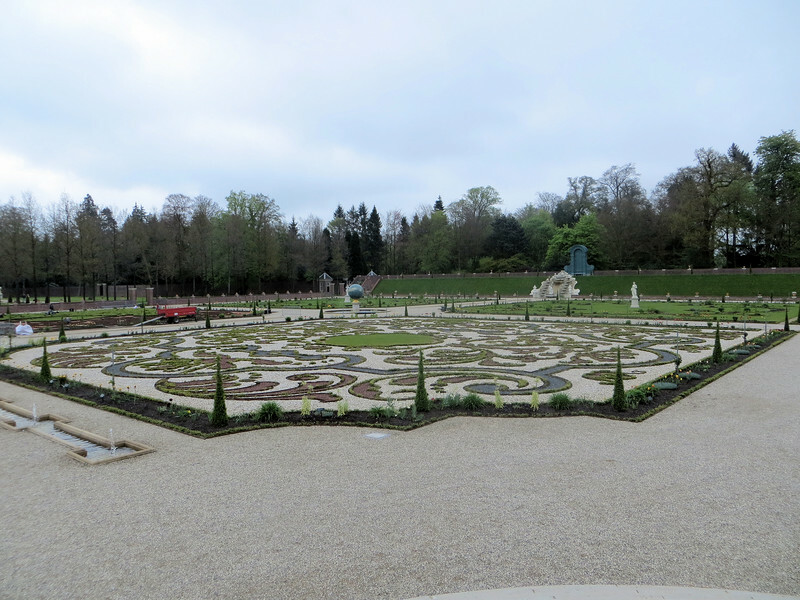 This part of the garden (the "Lower Garden") is laid out in eight "parterres," which seems to mean square pieces of land forming a symmetrical pattern and interspersed with walkways. The outer parterres are grassy and the four inner parterres are planted as "parterres de broderie" (broderie being the French word for embroidery). Hence the elaborate curlicue patterns. When the garden was originally built, simultaneously with the building of the palace, 6,000 soldiers were seconded to dig the ground. Willem III liked to collect unusual and exotic plants and made use of his connections with the East and West Indies Company to obtain specimens.